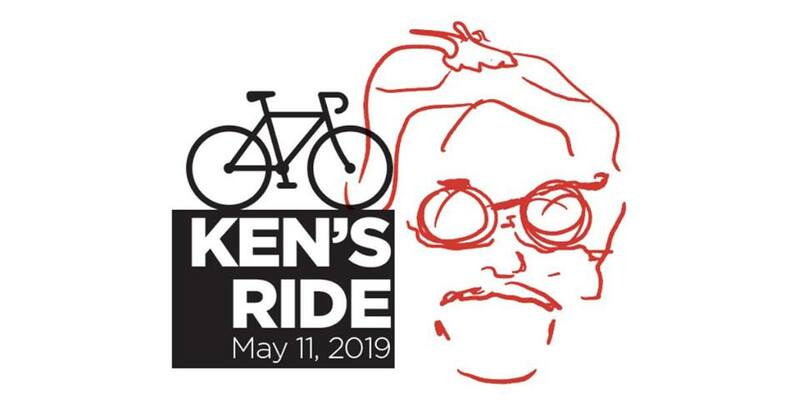 You’re invited to Ken’s Ride, Ride of Hope! KEN’S RIDE, THE VIRTUAL RIDE OF HOPE via Facebook. The Ride of Hope Bikeathon if organized to celebrate the life of Ken Appel, Vermont attorney and passionate cyclist, who passed away from Prime of Life neurodegenerative diseases, Progressive Supranuclear Palsy (PSP) and Frontotemporal Dementia (FTD). The proceeds of the event will be shared between CurePSP, a national organization that helps support research efforts to find a cure and treatment for Prime of Life Brain Diseases (PSP, FTD, MSA, ALS,CBD) and a local agency, Franklin County Home Health Agency that offers comprehensive health care within the home setting. 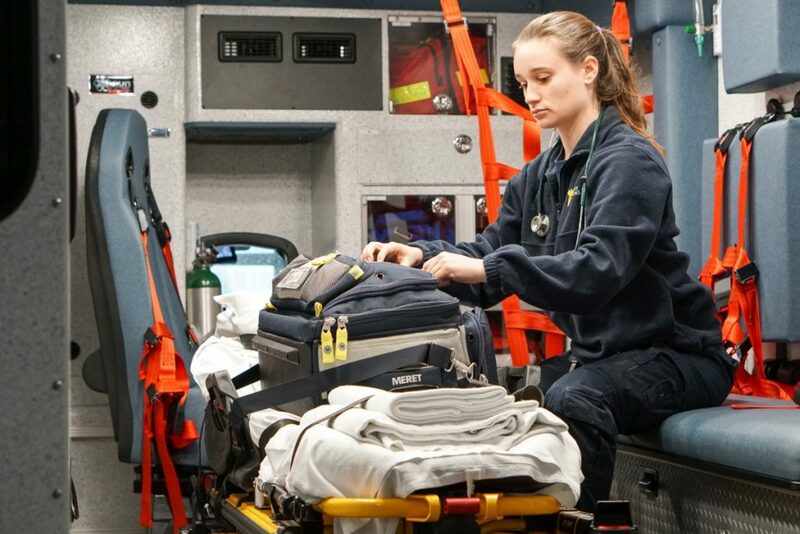 This entry was posted in Midd Blogosphere and tagged Midd Points on April 17, 2019 by Kailee Brickner-McDonald. volunteers, activists, educators, and collaborators. 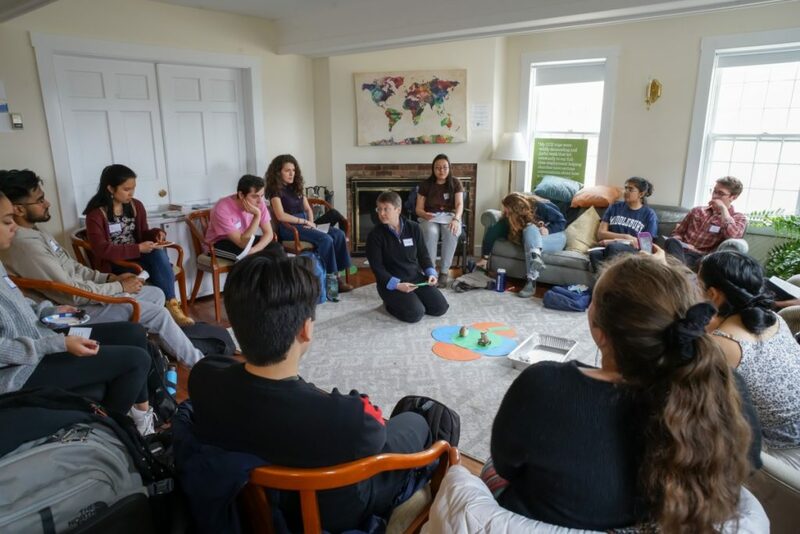 For National Volunteer Week, the Middlebury College’s Center for Community Engagement (CCE) wants to highlight a selection of 24 experiences supported by the CCE from the past week (April 4- April 9). To learn more about the CCE and the programs we offer and advise, visit go.middlebury.edu/cce. Thanks to all involved! Wednesday’s photos show mentorship as one of the key components of the work we support at the CCE, whether it be through language and cultural learning with high school students, connecting as a reading buddy, or mentoring through Community Friends. Faim pour le déjeuner! Through the Lanugage in Motion (LiM) program, Middlebury Union High School French language students came to campus to learn with Mme Crouzières’ Middlebury College students. Meanwhile, six high school exchange students from France got an English-language tour of campus. 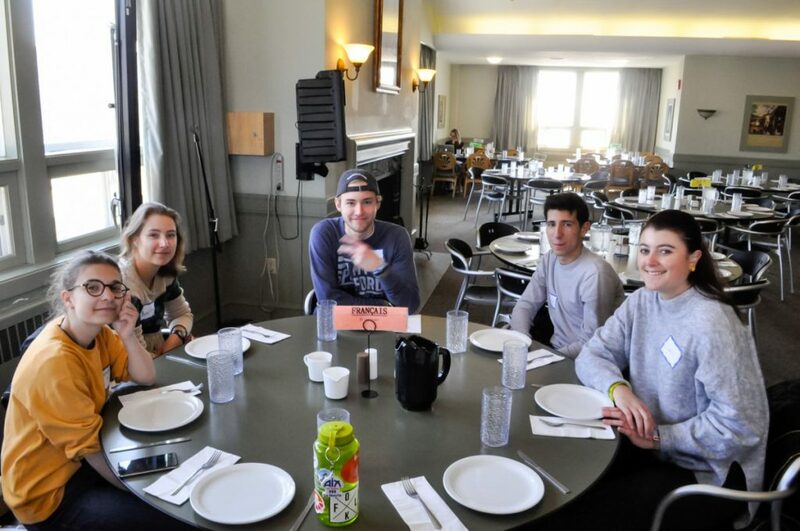 Then both MUHS and Middlebury students converged for a French language table over lunch! In a typical semester, LiM prepares 34 Midd students to offer presentations in local schools for over 600 local middle and high school students, bringing language and culture to life. How about a side of mentoring with your lunch? 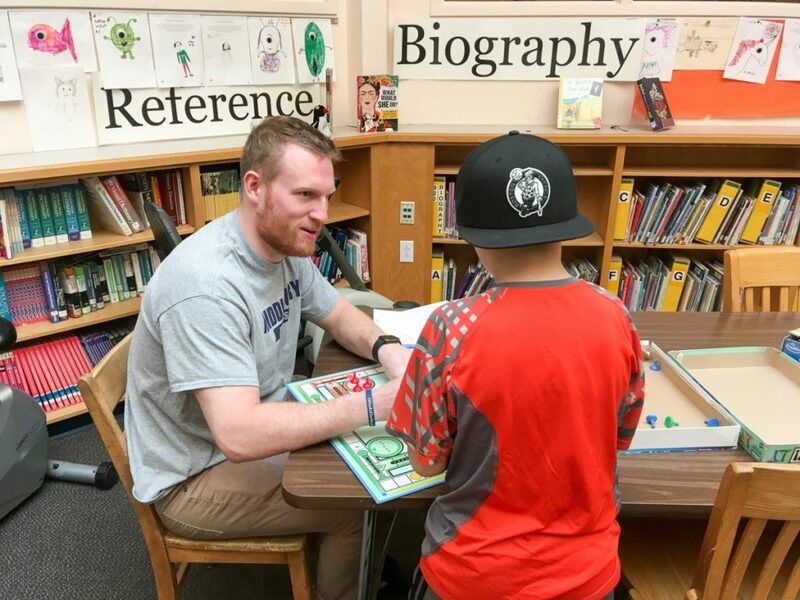 Nine Middlebury College students, including Parker Ferguson ’19 (pictured) who is also a member of the Football team, head over to Mary Hogan Elementary School every week at lunch to build relationships with children over books and games through the Everybody Wins! program. This is one of the many community-based volunteering options the CCE gets out on a weekly basis in its Opportunities Newsletter, which in a typical semester shares over 130 opportunities from over 75 community partners. a sibling pair from the Middlebury community– on Wednesday afternoons. 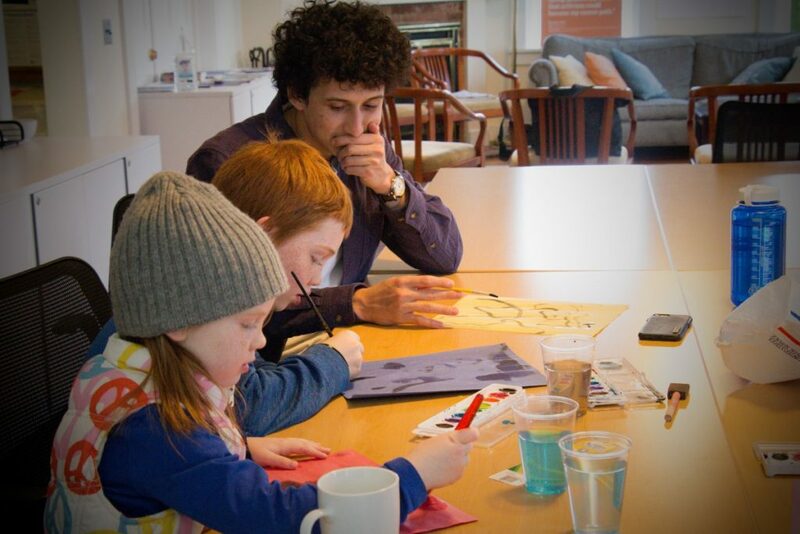 This time, they were jamming out to tunes and getting creative with paint in the CCE Living Room! 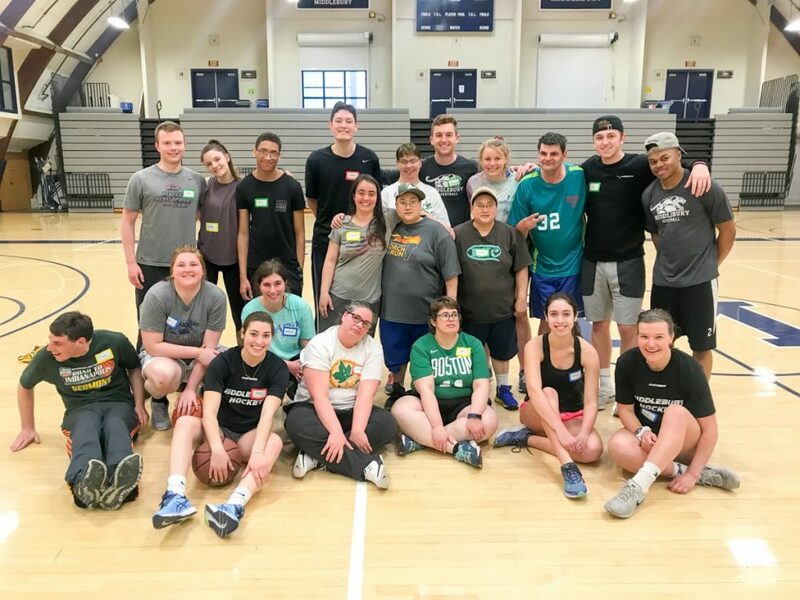 There are 140 pairs of mentors and mentees that meet weekly through the Community Friends program, advised by the CCE, which has connected Midd students with children since 1960. The CCE helps connect community experiences to the college’s academic curriculum and internships. Thursday features the Privilege and Poverty Academic Cluster, Environmental Studies capstone projects, and the Charter House. (INTD 0426), the capstone course for the Global Health, Food Studies, and Privilege & Poverty Academic Cluster, use an exercise in Design Thinking to hone their plans for social change projects. Twenty seven faculty across disciplines partner with P&P. 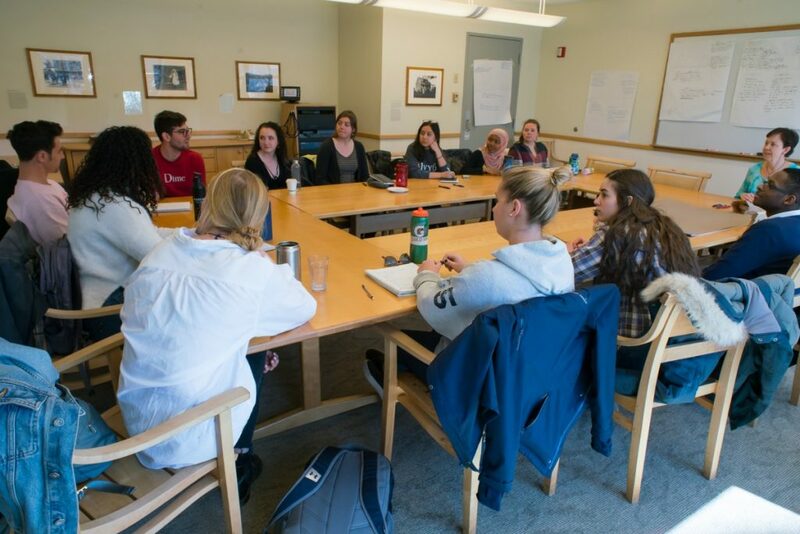 In this section of ES401, a capstone course designed for senior Environmental Studies majors taught by Jon Isham, students partner with Vision for Vermont and are conducting interviews focused on visions for a more just, inclusive, and sustainable Vermont. 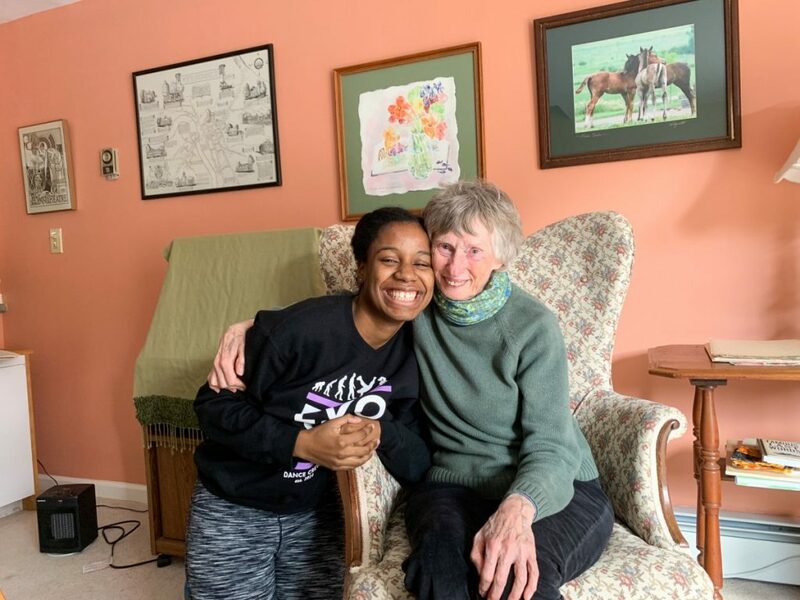 Pictured here is Gabby Davis ’19 with long-time activist Priscilla Baker in her condo in Middlebury speaking about her experiences with the environment and her visions for sustainability moving forward. The Charter House also hosts Privilege & Poverty interns over the summer. 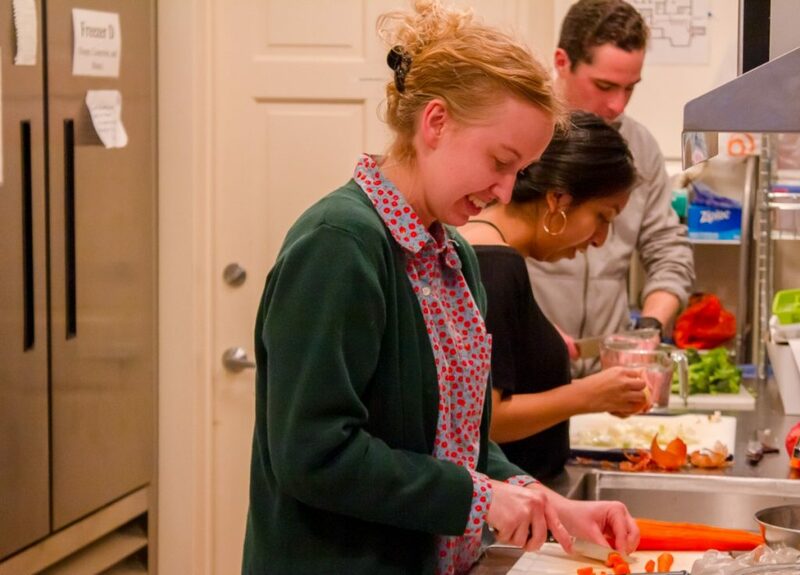 Over the course of a semester, Midd students serve over 1805 meals with local community partners. Friday is a busy day for CCE programs! As the week comes to a close, students have more flexibility to move and think beyond the campus bubble. From workshops and board meetings to climate marches, this day is full of the different kinds of work and projects that take place in any given week. 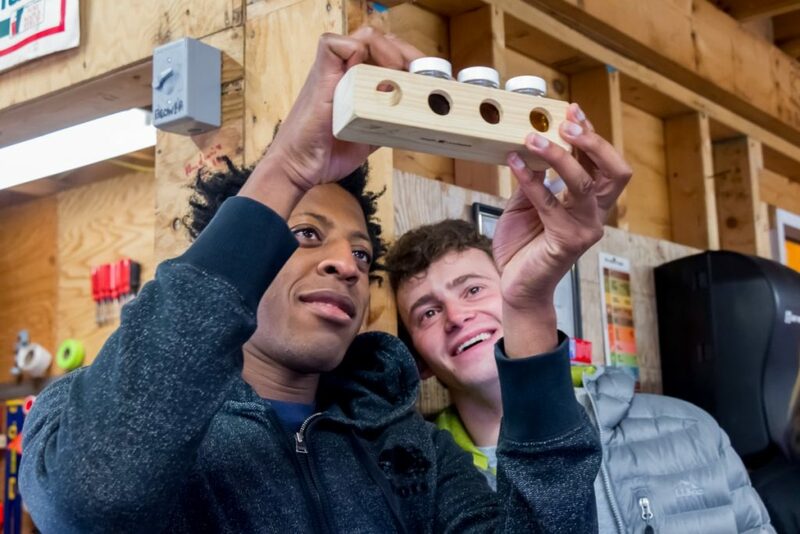 Kufre Udoh ’21 and other members of The Wild Middlebury Project teamed up with a group of high school students at The Hannaford Career Center to practice their maple sugaring skills on Friday morning. Jacob and Kufre scope out different grades of syrup. Wild Midd is a new student initiative that is now part of the Service Cluster Board, 20 student organizations advised by the CCE. 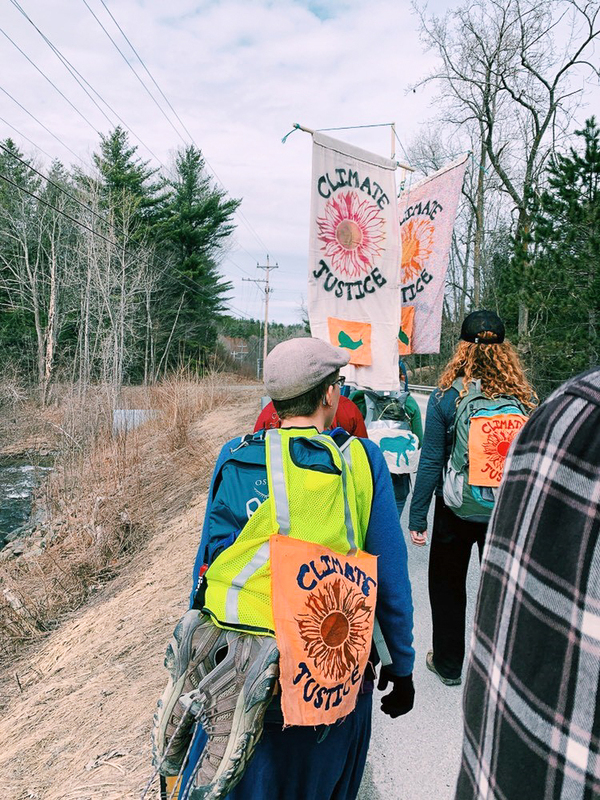 Middlebury students and Vermonters met at the Town Green to kick off the 350Vermont Next Steps: A Climate Solutions Walk that concluded five days later with a Mass Action at the State House in Montpelier. 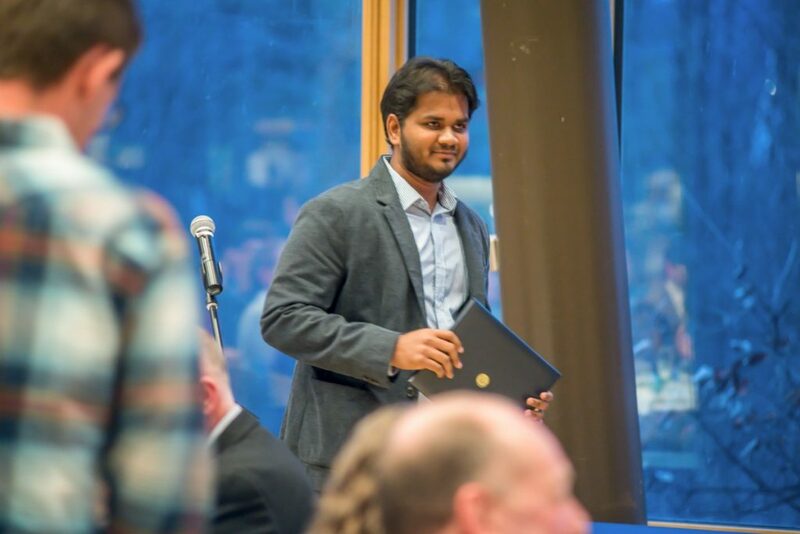 Divya Gudur ’21 was awarded a CCE Community Engagement Mini-Grant to support Sunday Night Environmental Groups‘ students’ involvement in the walk! The CCE gave out $15,930 last semester in grant funding for student initiatives. All smiles from Butch’s Team! 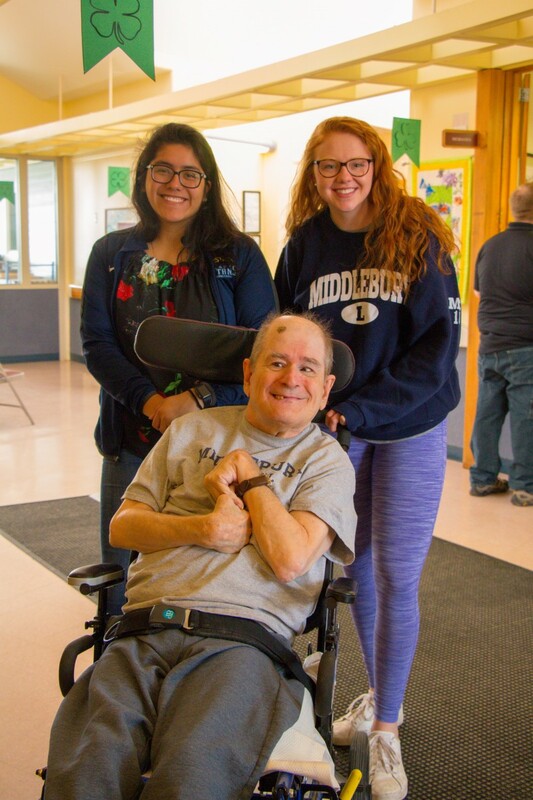 Each week, students like Samantha Enriquez ’22 and Beth Neal ’20 share visits with Butch, a long-time friend of the College. This is in addition to the nearly 60 year tradition where the basketball team brings Butch to home football games and the football team brings him to home basketball games. Butch may well be our #1 Panthers fan! 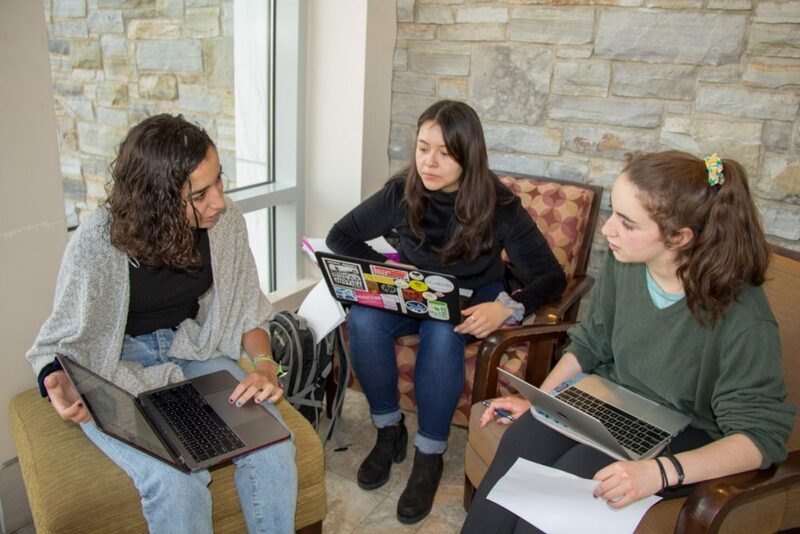 The Community Friends Board members (Sabian Edouard ’21, Jocelyn Tenorio ’19, Hannah Kredich ’20, Maddie McKean ’22 ) discuss how to improve the mentee referral from to allow parents to request social identity-based matches! The eleven student coordinators meet weekly behind the scenes to recruit and train mentors, create meaningful events, and maintain community partnerships. Across all our student organization Boards, in the process of making their groups better, members learn how to operate effective community-based organizations! 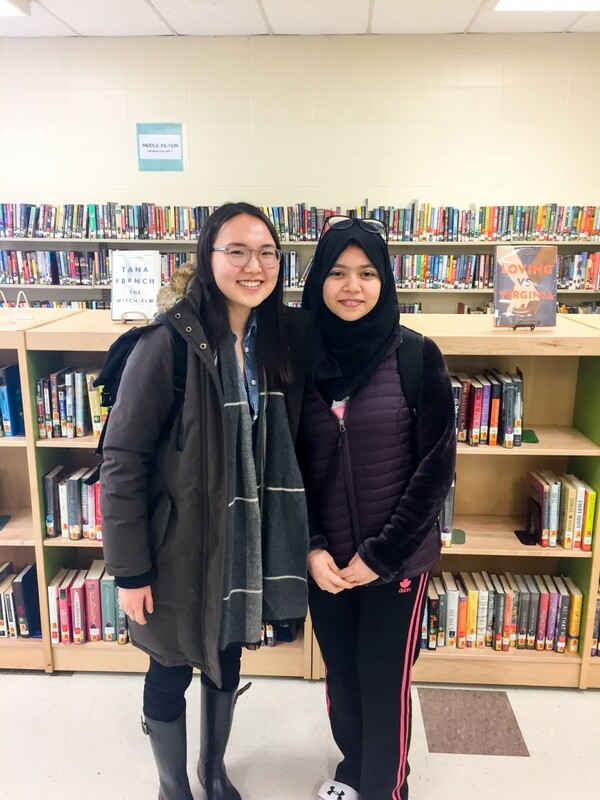 Middlebury Refugee Outreach Club works with Winooski high school students from refugee backgrounds to establish connections and prepare students to succeed in college. Pictured are Liz Perrotta ’19 and Lulu Zhou ’19 with their respective tutees, Rewati and Hiba. 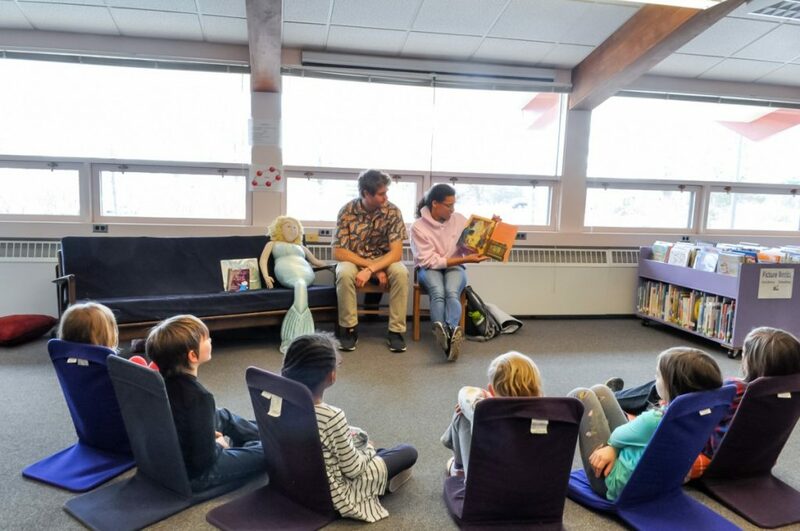 Many Middlebury students share a passion for reading, and Page One Literacy Project allows them the opportunity to visit local elementary schools and work on literacy development skills through reading and storytelling activities. The weather is getting warmer in Vermont and members of Midd Volunteers took advantage of the opportunity to help John Graham Shelter do some spring gardening and outdoor clean up! Privilege and Poverty students engage in a Bias Response Training facilitated by Kristen Mullens, of the CCE, to help them consider what bias looks like within ourselves and our communities, and how to better respond to it. 1, 2, 3, GO! 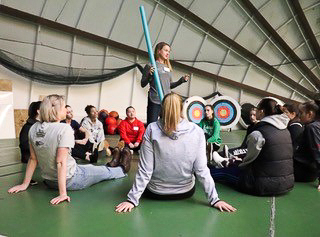 Directing through Recreation, Education, Adventure, and Mentoring (DREAM) is all about community building through mentoring and Friday afternoon activities. 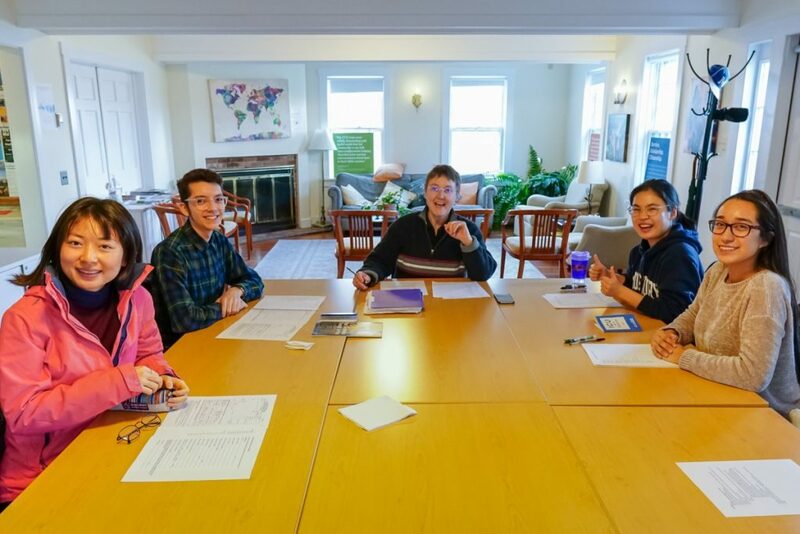 Janice Zhang ’20 and Seamus Nolan ’19 plan afternoon activities and direct a group of mentors from the college working with Middlebury-area children. Bring on the weekend! Outreach with adults in our community often works best outside of the workweek. Audrey Olsen ’21, Hannah Bensen ’21, and Lizzie Friesen ‘20.5 helped coordinate the Women in Tennis Together program with the Women’s Varsity Tennis team. 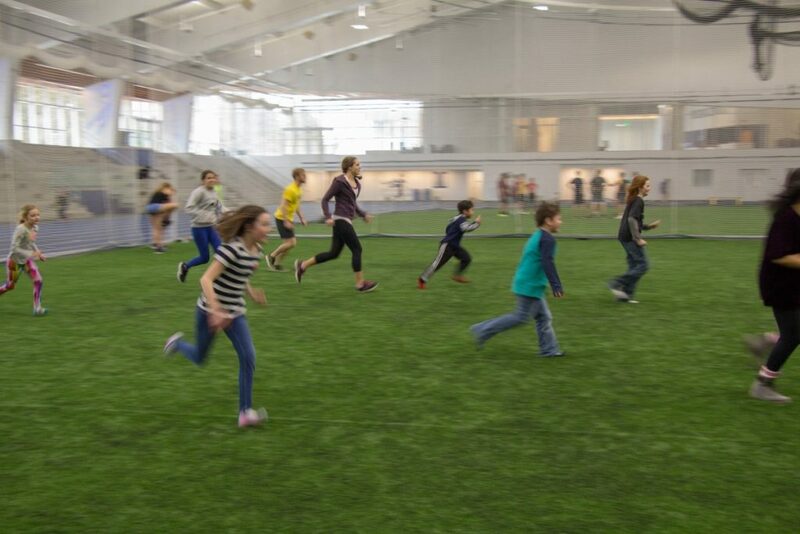 Before hitting the court, Middlebury students led group activities among the players. Audrey described how they designed this Saturday, with hopes: “…to promote deeper conversation and learning among new friends… for players to be able to engage and learn more about those among them, why they chose to come to Women In Tennis Together, and different personal things such as what goals they have in life.” She used a CCE Community Engagement Mini-Grant to support the program! Student Coordinators of Juntos, Middlebury College’s migrant/student solidarity network, prepare for a Companeros gathering, where they teach English to community members. From saving lives to preparing for intercultural immersion, the beginning of the week starts strong. 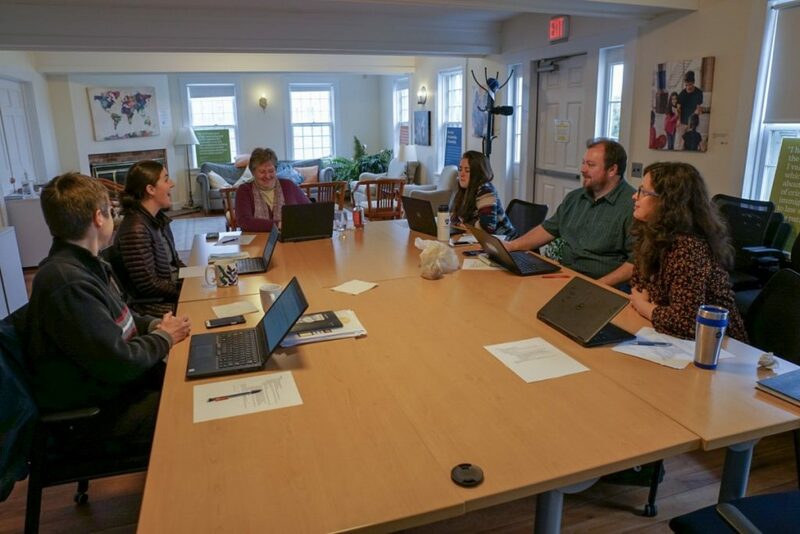 The Center for Community Engagement Staff meets to discuss the big picture and the details behind supporting our programs. Special thanks to Jason and Sarah for their photographic support of this “Week in the Life” project. High school and Middlebury students share lunch as part of the Language in Motion Spanish Language Day. The Japan Summer Service Learning Program cohort met for the first time! Celebrating so many impactful people in our Middlebury community at the Dean of Students Leadership Awards! Special congratulations to winner Saif Panday ’21, a Middlebury Alternative Spring Break leader for this year’s Jamaica trip. Be sure to nominate students to the Public Service Leadership Awards on April 30th, hosted by the CCE, by April 11th at go/psla. 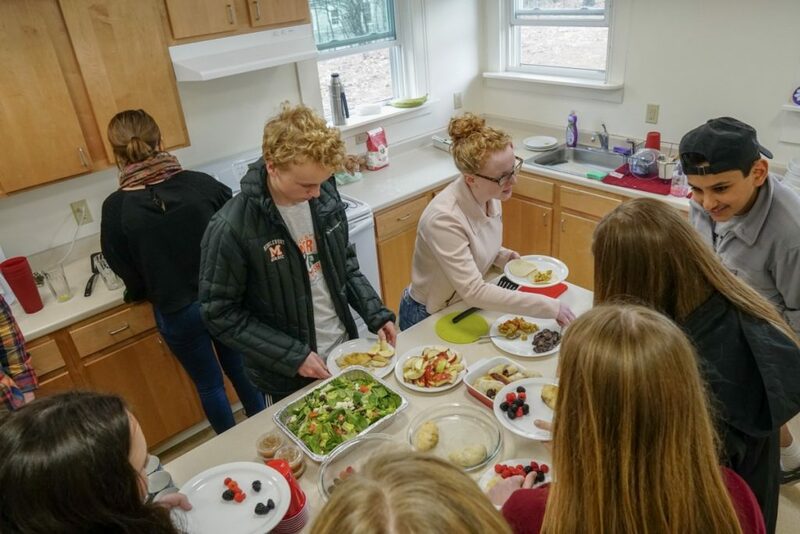 Many thanks to photographers, coordinators, collaborators, and editors in the CCE for helping create this selective snapshot of the Week in the Life of Middlebury Community Engagement. Special thanks to CCE student staff members: Meg Pandiscio, Lia Swiniarski, Will DiGravio, Jocelyn Tenorio, Madison Holland, and Amanda Rodriguez. This entry was posted in Midd Blogosphere and tagged Uncategorized on April 10, 2019 by Kailee Brickner-McDonald. 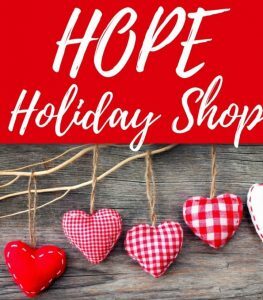 Each year H.O.P.E (Helping Overcome Poverty’s Effects) hosts a Holiday Shop that helps families provide gifts for their children that make the holiday season that much more special. 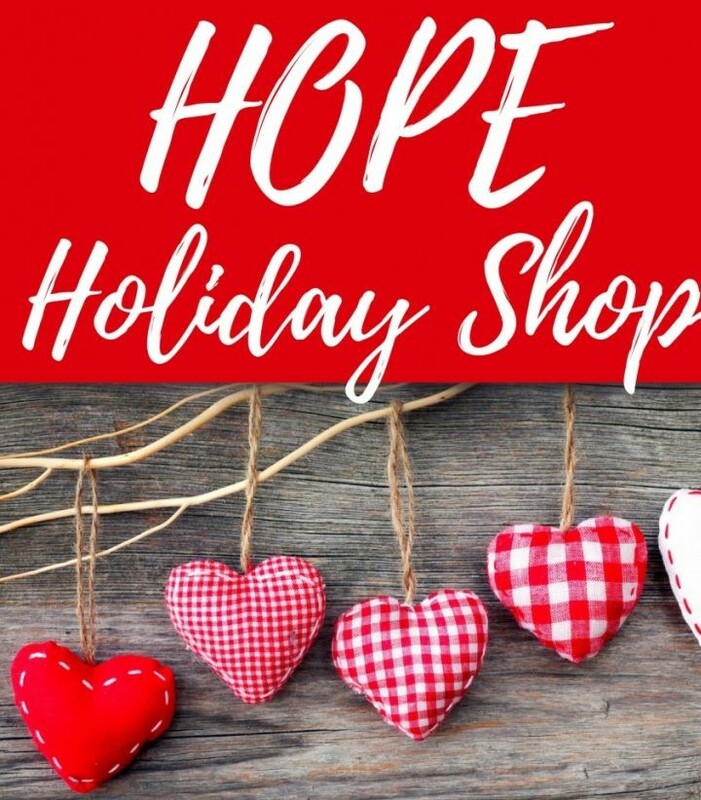 Please consider supporting Addison County families through H.O.P.E’s annual Holiday Gift Shop! Sign up by visiting go/holidayshop or visit the Center for Community Engagement (20 Old Chapel Road, DKE House) to pick an idea off of the Wishlist Tree. You can sign up any time before December 12th, either individually or with a group of colleagues or friends, and bring an unwrapped gift worth $25 (ideas provided in sign-up) to the Center for Community Engagement between 9:00 am – 5:00 pm by Wednesday, December 12th. If you have any questions, please e-mail Sarah Litwiller at slitwiller@middlebury.edu. Thank you for your continued support of this wonderful program. H.O.P.E. 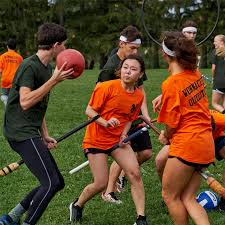 counts tremendously on Middlebury College’s consistent and generous participation. 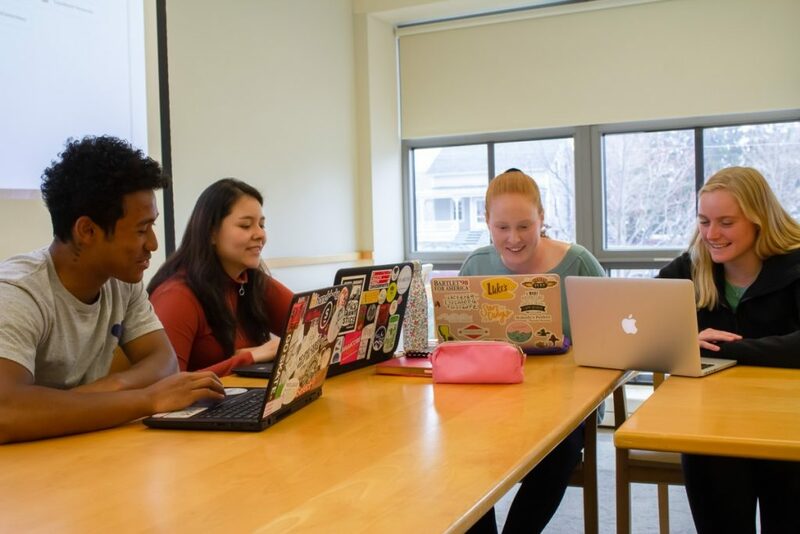 This entry was posted in Midd Blogosphere and tagged Midd News & Events, Midd Points on November 20, 2018 by Kailee Brickner-McDonald. This entry was posted in Midd Blogosphere and tagged For Faculty, For Staff, Midd News & Events, Midd Points on September 21, 2018 by Kailee Brickner-McDonald.